New York Fashion Week wrapped up yesterday, and as I scanned the runway shows, I didn't notice too much in the way of Buttercup Yellow or Seafoam Green. And the models weren't catwalking with arms outstretched. 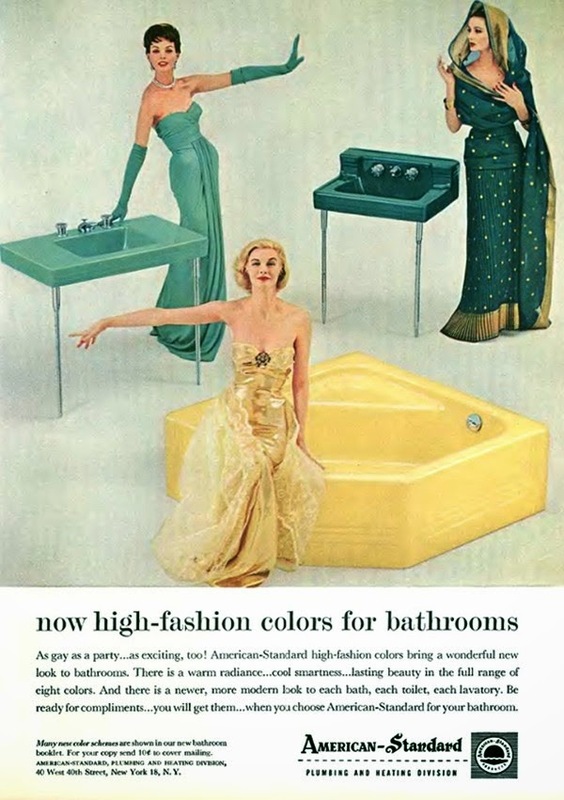 But it seems like such things were in vogue in 1953, along with magically self-supporting console sinks and a corner tub—which, in a slightly modified form, is still available today. Some designs become classics, others just fade away.